A new collection of the late critic Mark Fisher’s essays imparts three vital lessons: society exists, capitalism is not forever, and the Left must fight to win. 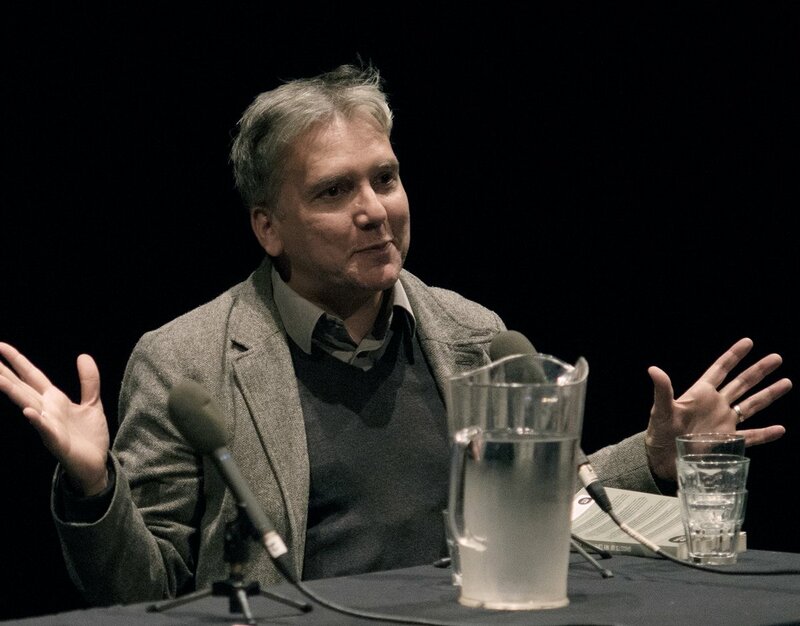 Mark Fisher was prolific, piercing, witty, humane, and omnivorous. On any given day you could log onto his blog k-punk and read about Sigmund Freud and J. G. Ballard, Jurassic Park and Vogue photo-shoots, Batman and Lenin, financial collapse and dance music. But what made him such a valuable cultural critic wasn’t his dazzling breadth of commentary. It was his vision of the world, intricate but discrete, which bundled all his observations together into a coherent whole. That vision was of a global society dominated by capital, bludgeoned by neoliberalism, but straining nonetheless, weakly but perceptibly, for revolution. Fisher didn’t live to see anything like a revolution. But his work contains blueprints for a new generation of socialists, tens of thousands of whom have been energized — in the US, in his native UK, and around the world — since his suicide in January 2017. A new collection of Fisher’s k-punk essays from Repeater Books clocks in at over eight hundred pages, including his book reviews, film reviews, political writings, music reviews, interviews, and other assorted essays. I read it the way I imagine it’s meant to be read: incompletely, out of order, in fits and starts. Three major themes emerge in his political writing, each a refutation of some common lie or a refusal of some sham consensus: society exists, capitalism is not forever, and the Left must fight to win. Together they constitute a vital perspective for anyone who seeks to contribute their energy to the struggle against capitalism and for socialism. “There are individual men and women and there are families,” said Margaret Thatcher. “There is no such thing as society.” Fisher knew otherwise. There is a society beyond individuals — and, as a corollary point, the setbacks and catastrophes sustained by individuals usually have collective political and economic causes. They therefore must have collective political and economic solutions. The utility of individualizing problems, as neoliberalism does, is to prevent us from identifying and pursuing those solutions — chiefly because the solutions will inevitably involve undermining the profits and redistributing the wealth of the capitalist elites who run society and want to keep it that way. One theme that runs through Fisher’s writing is the individualization and depoliticization of mental health. In an essay titled “October 6, 1979: Capitalism and Bipolar Disorder,” Fisher argues that the disintegration of security and solidarity under neoliberal capitalism has left people “psychologically trashed,” feeling abandoned and disoriented. Fisher, who himself struggled with depression, didn’t deny that mental illness has observable neurological manifestations. But he was aghast at the observable injunction against discussing the political and social conditions that permitted those neurological disorders to spiral out of control and destroy people’s lives. “The current ruling ontology rules out any possibility of a social causation of mental illness,” he wrote. “The chemico-biologisation of mental illness is of course strictly commensurate with its de-politicisation.” If every individual’s mental illness is solely the result of anomalous brain chemistry, not induced or augmented by factors such as financial precarity or social isolation or neoliberal perfectionism, then we need not inquire whether our society itself is disordered. It would be facile to argue that every single case of depression can be attributed to economic and political causes; but it is equally facile to maintain — as the dominant approaches to depression do — that the roots of all depression must always lie either in individual brain chemistry or in early childhood experiences. He ventured a different explanation. First, he wrote in “The Privatisation of Stress,” the erosion of job security coupled with punitive and hyper-extractive management techniques put working people on edge: “It is hardly surprising that people who live in such conditions — where their hours and pay can always be increased or decreased, and their terms of employment are extremely tenuous — should experience anxiety, depression, and hopelessness.” A society that guaranteed economic stability would, on the other hand, allow people to relax, free their minds from financial worry, and plan for the future. It wouldn’t eradicate all negative feelings, but neither would it aggravate or compound them the way neoliberal capitalism does. Second, Fisher indicted neoliberal meritocracy for peddling a fantasy — meant to obscure the way class power reproduces itself under capitalism — in which access to the highest echelons of society is available to anyone willing to work hard enough or who has the right amount of courage and intelligence. Those who struggle in the middle or bottom echelons, then, have only themselves to blame for not securing a higher standard of living. Naturally this contributes to low self-esteem — added, of course, onto stress, which can then combine with individual factors such as brain chemistry and childhood trauma to activate or exacerbate depression. As a result, “just about any attempt to offer economic, political or sociological explanation for al-Qaeda’s emergence is tantamount to an expression of sympathy for its aims and methods.” The consequence is a prohibition of inquiry into the political and economic causes of terroristic violence, let alone any meaningful antiwar action that might put an end to the cycle of radicalization that leads to that violence. Throughout his work, whatever the topic, Fisher reminded us that there is such a thing as society. We can’t solve the staggering problems we face alone, as though we were simply individuals without a social context. Those problems belong to all of us, and so do their solutions. Perhaps the strongest thread running through Fisher’s writing is his affirmation that there is in fact an alternative to capitalism, despite the consensus that emerged in the 1980s. He called that forbidding insistence on the absence of an alternative “capitalist realism,” and he sought to demonstrate that it was fundamentally tautological — capitalism must be because it is — and ultimately deceptive. In the unconscious, Freud says, no one really believes they will die, and this is no doubt also true of civilisations, which despite the melancholy monuments testifying to the demise of Maya and Easter Island, are convinced that they are the exception, they are the one which cannot perish… That is what ‘realism’ amounts to: not a representation of the real, but a determination of what is politically possible. Yet all around us we see that capitalism engenders misery. In one corner of the world, white-collar workers languish in grim cubicles, alienated from their labor, compiling spreadsheets for a multinational electronics corporation. In another, slum-dwellers melt the discarded electronics to extract their metal, which they sell for money to eat. The seas rise and the hills catch on fire, the body breaks and there is no money for a doctor, and every few years the markets fail, canceling the future that a lucky handful of working people have been able to secure (or so they believed). In my view it is because it was never really necessarily about the idea that capitalism was a particularly good system: it was more about persuading people that it is the only viable system and that the building of an alternative is impossible… that capitalism is almost like a force of nature, which cannot be resisted. The main imprint of capitalist realism on the mass psyche is resignation. Fisher saw this most in pop culture, which was his primary subject matter. He saw art and entertainment as sites of occasional resistance to capitalist realism, but less so with each passing year. Fisher felt that, as neoliberal governments reneged on the social-democratic promises of the twentieth century and capitalists privatized everything that wasn’t nailed to the floor, the culture had largely acquiesced to the Thatcherite denial of an alternative. He searched and hoped for the emergence of some political force that could transform refusal of capitalist realism from a subcultural phenomenon into a mass-cultural one. This is where the Left comes in. Unlike many cultural theorists in the late twentieth and early twenty-first centuries — who, with their poetic reflections on the totality of simulacra and odes to spontaneous eruption and temporary utopias, only deepened the suspicion that all hope for actual real-world resistance was lost — Fisher retained faith in existing left political movements and the flesh-and-bone working class. He felt that the Left had lost its way, but it wasn’t impossible to recover. This optimism made him more critical of the Left’s flaws than many of his counterparts. “Try again, fail again, fail better,” goes a quote by Samuel Beckett. Mark Fisher thought that was horseshit. The Left must not be content to fail. It must not be satisfied striking a revolutionary pose without achieving real victories against capitalism. It must fight to win. His biggest objection was to the evacuation of class from the Left. “Neoliberalism did not just hammer workers,” he wrote, “it encouraged people no longer to identify as workers. Its success was in being able to seduce people out of that identification, and out of class consciousness.” The Left, he felt, had all too willingly obliged. Its raison d’être, per Marx, was to be a force against capitalism and an agent of class struggle. Fisher felt it had abandoned that historic task and allowed itself to stand instead for diffuse resistance to ill-defined authority. In his most loved and most hated essay, “Exiting the Vampire’s Castle,” he reviewed the results of this substitution of nebulous authority for capitalist class power. If you seek to contest unjust authority but your goal is no longer to fight strategically and intentionally to build the power of the working class so that it can overcome the power of the capitalist class and replace capitalism with socialism, you will inevitably spend your energy fighting whatever petty tyrant is closest to you, because that’s the path of least resistance. Fisher maintained that the Left’s retreat from class had another disturbing effect, related to the first: a righteous but impotent abstention from the pursuit of real-world collective power. In “Not Failing Better, But Fighting To Win,” he asked, “What then can we do? Well, it is first necessary to defeat the anarchists — I am only half-joking about that.” He posited that the neo-anarchist tendency that dominated the Left in the years before and after Occupy took its self-given mandate to oppose all authority and mistrust all power to illogical extremes, refusing to engage with mass culture or politics in any way that wasn’t primarily antagonistic, fundamentally expressive rather than strategic. Because the anti-capitalist movements that have arisen since the 90s have ultimately done nothing, they have caused capital no concern at all — it has been so easy to route around them. Part of the reason for that is the fact that they have taken place out on the street, ignoring the politics of the workplace and of the everyday. And that feels remote to ordinary working people, because at least with the unions, for all their flaws, there was a direct connection between everyday lives and politics. That connection is now missing, and anti-capitalist movements have not provided it. In the end, Fisher found the Left’s navel-gazing an effective complement to capitalist realism, a companion to the perpetual insistence that there is no alternative to the present noxious order of things. What he desired instead was a socialist movement that was strategic and coordinated, that was unafraid of the spotlight, and that endeavored to pry power from the hands of its class enemies. Anything less was a tacit acceptance, if not in word then in deed, of Thatcher’s lies. Fisher died nearly two years ago. In the time since his passing, the Left has indicated that it has some potential to break these bad habits. We’ve seen the socialist movement in the United States begin to loosen its grip on the security blanket of irrelevance, inspired in no small part by the extraordinary efforts to project working-class power into mainstream politics in Britain. We’ve seen socialists vying for and winning political power, reforming unions and leading strikes, courting the masses with a determination not witnessed in decades. Revolution is still remote, but capitalist realism is fraying. Socialists are making an alternative thinkable. If Fisher had lived to see it, he would’ve been gratified.